Recently a news surfaced online, thanks to a source, ‘Woman’s Day Australia’, that wrote about Tom Cruise having a ‘Midlife Meltdown’ and in fact is considering on leaving Scientology too! He’s a member of Scientology since the 80s and always credits the church for helping him find success. Well, to shut your skeptical thoughts, all this is absolutely false and totally fake. The Mission Impossible: Fallout actor is rather going great in his life and indeed working on his next big project which is Top Gun 2, the sequel to his blockbuster, 1986 classic, Top Gun. But as per what ‘Woman’s Day Australia’ tried to spread across the internet, the actor is falling apart in life. The tabloid also claimed that Cruise has become a ‘broken man’ after years of being single and estranged from his 12-year old daughter Suri. As per this magazine, a source told it that, though Tom is still a big deal in the industry and had a successful comeback with MI: Fallout, earlier this July, but his reputation isn’t what it was and a lot of that has to do with the fact his personal life is virtually in tatters. Not only this, but the magazine also claimed (via its source) that Cruise has now started questioning his devotion to Scientology also. The insider from this magazine says that if Tom wants to see his daughter Suri again, he would have to leave Scientology. And that it would be a big decision-but as he gets older, he’s realizing the importance of family and he’s missing that type of stability in his life. Continuing further, the seemingly phony source also said that Tom seems to be looking for some kind of meaning in his life but he’s conflicted over his ties to Scientology. And that this has all been bubbling under the surface, but now it’s getting closer and closer to reaching a boiling point! This is what ‘Woman’s Day Australia’s fake news said. Why fake? Because the actor is on the contrary not in the midst of a breakdown at all. Although, there is some mystery related to his religion and his relationship with his daughter, the alleged claims by the above-mentioned magazine are entirely rubbish. The actor is, in fact, busy at the moment filming for Top Gun 2 and remains passionate about his movie career, as per a valid source, and another online portal, called Gossipcop.com. 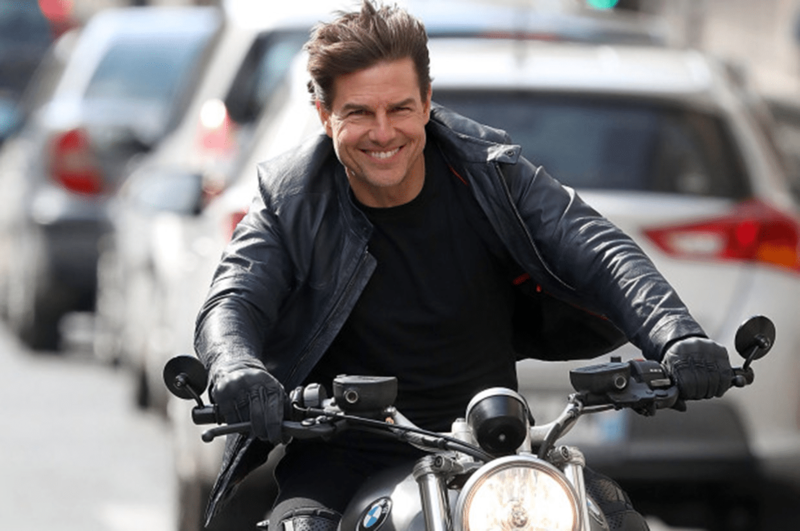 The portal also wrote that the actor was last week snapped riding a motorcycle with a big smile on his face while shooting for a scene for the much-awaited sequel to Top Gun. Gossipcop has clearly exposed the false claims by ‘Woman’s Day Australia’.